Form 2012 until now, I've used the Nokia E6, how I managed such a long time? I guess because I do mainly phone calls, sms, GPS navigation, calendar, some web browsing and a lot of notes. When I want to consume media, I use my laptop or I connect it to my TV for movies and YouTube. Back to BB, the Classic was always in my sight, but the big price was a turn off for me, until two weeks ago, when my sweet wife found one completely new at very good price and got me a nice early Christmas gift! What a day, the unboxing, the joy of trying out a completely new qwerty phone after 6 years! And not any Nokia, a Blackberry device! What a gadget, what a design, what a keyboard, what a smooth interface! It was a pleasure to find out each part of the BB10, totally new for me, to descover this beautiful keyboard, the toolbelt and all, it took me a few days to figure it all out and how to use it properly. So, after a week or so, I switched my SIM card from E6 to my new BB device and I started slowly to use the Classic, battery was fully charged, all good. In the first part of the day I was to grocery store to buy some fruits and vegetables with my list in my phone and my phone in my hand as I am doing my shopping. All good with my new phone after 6 years of E6, but after some shopping, my new BB Classic is turned off. Hmm, what happened? I turned it back on and after such a long booting time I was back on my shopping with a big question mark. After some 10 minutes later happened again! The second time I was absolutely sure that the screen was off, with the screenlock on, I don't use swipe to wake. Later that day all went well, until at the end when I got to the car and I was holding the phone in one hand, with a bag in the same hand and when I got in the car, my new BB phone was turned off again, the third time in my first day of use! Huh, baterry was at 70, what happened?? Well, later that day I found out that the end button (which is so soft) can also turn the device OFF just like the LOCK/POWER Key! Hold it more than 3 seconds and the phone is off. This phone is unique, it has two buttons for the same feature. 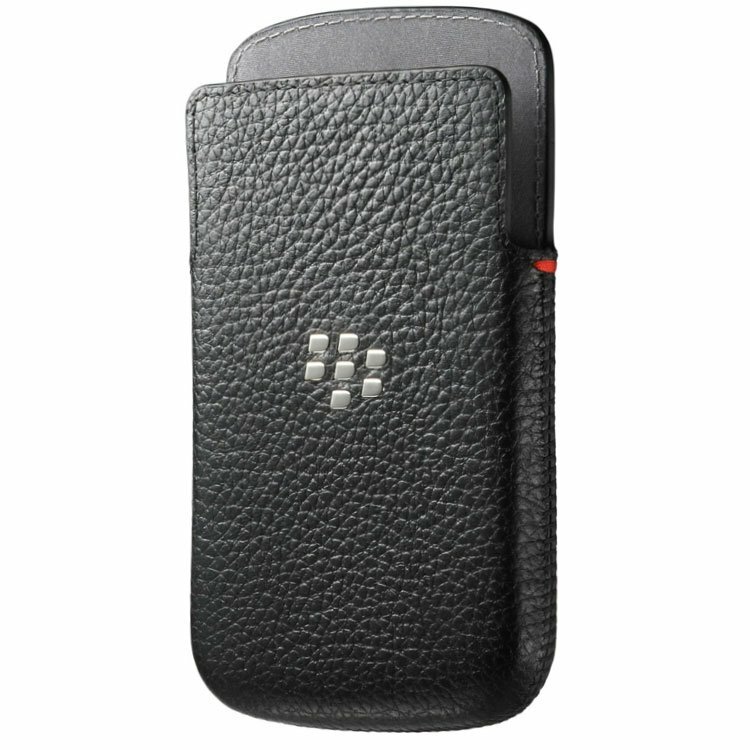 I understand that old models (9900 and Co) had this and BB decided that the Classic should have it too. OK, fine, BUT NOT WHEN THE SCREEN IS LOCKED, AND NOT FOR ONLY 3 SECONDS!!! If you let this stupid function, put at least 10 seconds, especially if booting time takes so long. OK, I said in my mind, I will set a phone security password and this problem will be gone! BUT NO!! ?, WITH THE SECURITY PASSWORD ON, IT'S ALL STILL THE SAME! I could not believe it!!! It doesn't matter if I have locked the screen with a password, all that matters is the end key (and the lock key) they simply overlay all things that should prevent shutting down my phone accidentally! All engineers from BB considered that powering off your BB is the most important thing ever! This phone is ONLY for costume pockets and for desk only. Never ever put it in your jeans, or hold it in your hand - it's your fault! As far as I know, all this phones are called mobile phones, they are meant for all situations! Maybe I am missing something and you guys will solve for me that huge problem, I will be forever thankful and grateful - I really like this phone and this is why it got me so frustrated! Yesterday I installed Navfree, it's all very promising for me! Last edited by e6classic; 12-21-18 at 08:27 AM. Turning the screen on is standard. That's part of the intended functionality. If you want it to stop unlocking, put a password/PIN on your device and press and hold the K key. It'll lock immed. and won't be accessible without the password/PIN. Turning screen on by pressing keys is not a very big problem, the huge problem is the end key that is turning the phone off in just 3 seconds even if I put a password and lock it with k key. No way around that that I can recall. That's what it does. You are holding it wrong...........don't press it for 3 seconds.........you will get used to it with use. Sorry couldn't help myself. Seriously, I did not know about this as I don't have a Classic but I have not seen others complain about this. I just think that you will eventually get used to this. Either that or the "end" key is super-sensitive on your particular Classic. Have you found other complaints about this problem here on the forums? p.s. recognizing that this post may be of little value to you, may I at least suggest that you update to the latest OS which may speed up your boot time depending on which OS you have now. e6classic and m3ach like this. The only solution that works is.. Thank all of you gentlemens for your kind answer's ! Or probably was just the fact that my mind was eliberated after I got my rant on this beautiful forum, with such a nice people that connected to my frustration. I just decided that I will sacrifice some of the way I use and hold a phone because I think is all worth it! The Classic is to good for not having it in my life, especially for the fact that it came from Santa/my Sweet Wife. But all of this doesn't matter any more now, because also your post helpt me the most, in a very simple way when I read that simple words "you are holding it wrong", so simple but so true, it's all about a little adjustment, that's all! I'm glad you couldn't help yourself. , you did it very right, so simple but so essential! And your emphaty got to me, I felt it, thank you, sir! Here are the two phones side by side, interesting story, isn't it? brookie229 and Shuswap like this. That little Nokia is the right size. If only some company would put out a KaiOS phone like that with North American cellular bands. Yes, I think that too, but maybe just a little bit bigger, because the 2.46 inch screen of the E6 is one of the reasons why I moved to the Classic. Also, now, after only two weeks with the Classic I find the E6 keyboard to be very cramped and crowded, which is staggering because I've used E6 for 6 years time! I don't know much about KaiOS, but a plan B of a qwerty phone (maybe with a 2.8-3.0 inch screen) would be very welcome if BlackBerry goes away... But I really hope not! My wife, which is not by any mean in the gadgets world, is saying to me all the time that keyboard phones will come back and despite she has no clue about the full screen to body trend that is going on, when I listen her I move my head like a dog in front of a mirror because she has a rate of predictions with of a amazing rate, something like 9,8 out of 10!... :-) Let's hope that I am wrong and she is right! Maybe HDM Nokia will make some "successor" for the E71/E72/E6 Brothers but not so cheap like 8110 4G. Even with KaiOS and it will be very welcome. I've had enough... Powering off the phone to easealy was not enough for me... A month ago I discovered that dumb bedside mode that turns off the network with a simple swipe directly from the lockscreen. Almost every single button on this phone turns the screen on for no reason (and all the buttons are so soft), then a simple accidental swipe is enough to put the phone in offline mode! Why the heck is called lockscreen (LOCK = TO LOCK SOMETHING)? Also, a bed function will be used it once a day (personally I don't even use it), not every f-g minute that you have to put it directly from the lockscreen! This phone is brilliant in so many ways, but the stupidity things are at maximum level because they are all related to have a f-g network ON and be reachable! 2 months of holding the Classic like a violin was to much to bear for me and last week I've got back my old Nokia E6 and I feel such a relief! Yesterday I sold the Classic because I didn't wanted to see it anymore. This phone is trouble! Turns out that for me the best qwerty candy bar phone ever still is the Nokia E6! I apologize for this rant, thank you all for your help and your kind words and until next time, I wish you all the very best! Maybe after 6years with the e6- a phone I personally didn't like due to its cramped keyboard, you were not as ready to move on as you thought? I had none of the issues you've mentioned with my classic although it was in a case at all times and it was and still is a fantastic phone, who knows maybe you will be ready to move on one day🤔..
Last edited by oldmangeddyboy; 02-03-19 at 11:16 AM. After thousands of dollars that I've spended on many many phones in the last almost 20 years, E6 and my ambition cured my addiction and now I don't feel that I have to "move on". I don't want to be a consumer anymore, I want to use a product longer, the longer it gets, the better it gets for myself and for environment, but "bad" for the corporations. Just last 5 years ago I finally realized that after all a phone is a utility device and if it works for me just fine, why change it? I tried the Classic for two months, but it failed miserable for me, I am so disappointed, but heh, maybe is just me. One think I know for sure is that my next phone after E6 will be definitely a keyboard phone. I guess you are right, it's very possible that the Key2 could be a alternative since I am familiar to Android. See you around, too. Thanks. You are trolling, and I think that my visions about "moving on", usage time or consumerism are a bit different from yours. Let's leave it that way, for you E6 is rubbish, for me is not. Yes, E6 is a born dead phone, it has many weaknesses, almost everybody hated it, but FOR ME is a great little phone that fills my needs just fine. And I will use it until it will be dead or until I will get a Key or something. If you read my topic, I said it from the beginning, the Classic was a present from my wife and I tried it for two months despite I was just fine with E6. I was not "moving on", my friend. Now, since you have a obsession with "moving on" and trolling, I will definitely move on! Take care! I gave an opinion... Simple as that.. I've used the e6 and countless. I'm so lost that it's crazy. OP, why would you hold down the end key so much? That sounds a little weird. It's meant to be pushed to exit an app or hang up and held in to turn off. Unless you are walking around with your finger on the end key, you shouldn't have a problem. My Classic goes into my pockets all the time and I never have had my phone shut off at all. Everything that you are griping about seems to be USER error and nothing to do with how the OS works. How confident are Blackberry 10 OS users in continued BBRY support through to end 2020? Dropped phone and unplugged from computer during reload the priv os.